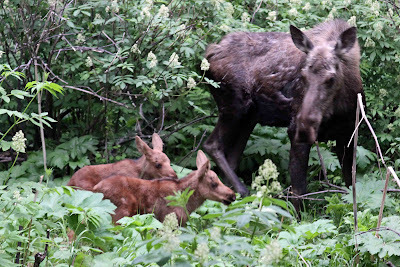 A moose standing on one side of the fence in our back yard . . .
. . . with her babies on the other side. Don't worry. A little ol' fence won't keep this mother . . .
. . . away from her twins! Hurray for the moose! I'm thrilled to see the babies. 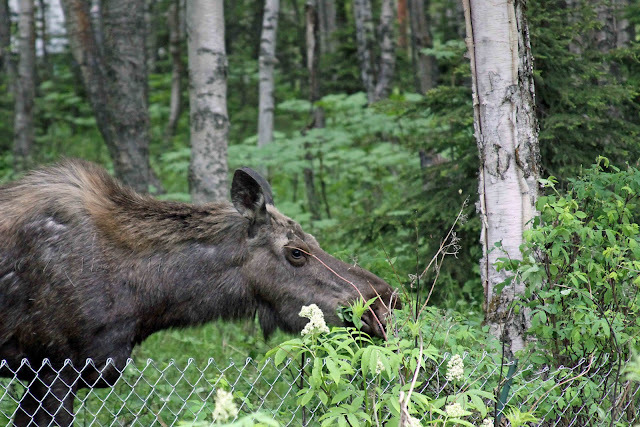 I think you should start a new blog - all moose all the time! Very nice. I loved the video. That song was cute. Were you actually outside taking that video? I thought that was really dangerous! I'm having enough problems with this wild chicken digging up my vegetable patch. 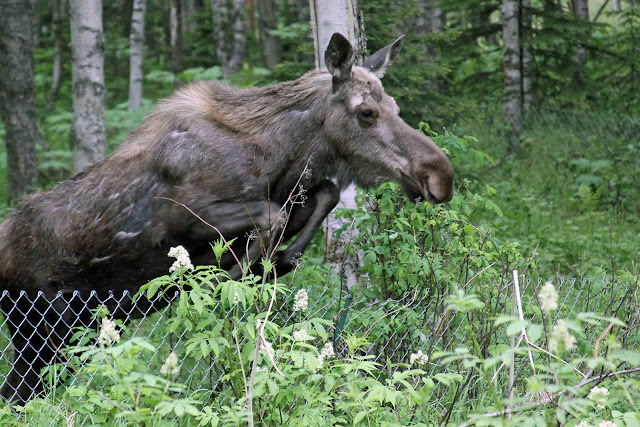 You may keep your 700-pound moose, thank you. When I saw that first picture, I thought "How in the world do you expect that fence to keep out that moose?" Then I saw that you don't, and it didn't. Oh, com'n. 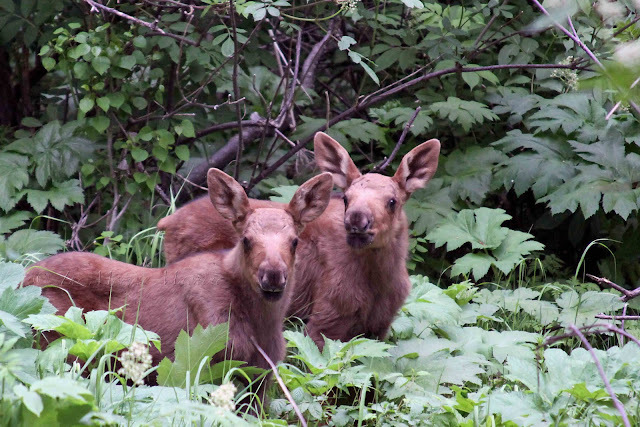 It's hard to feel upset about the moose in your yard when there are darling little baby moose. Oh I love how you snapped the pic as she was jumping the fence! Oh Kim, you got such awesome baby pics of the moose's papooses! I love them. And the timing on that job was perfect. And I thought I liked horse jumping...lol. You missed your opportunity, Girl. When you said nothing keeps a mama away from her twins, i was expecting to see a picture of YOU with your girls. LOL.